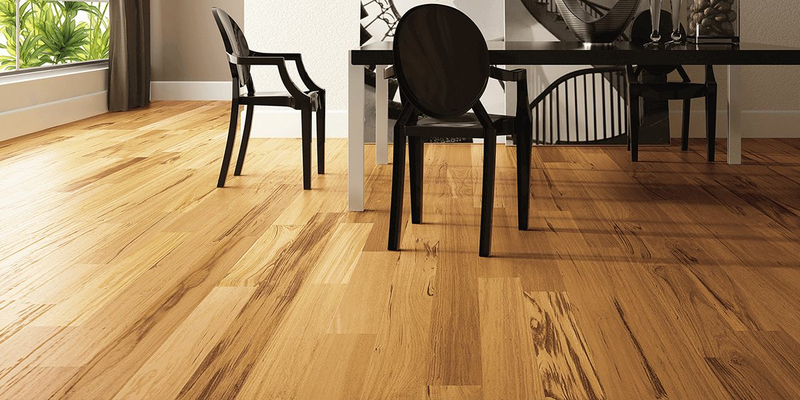 Three stunning collections give you ample choice in terms of species, floor colors and plank width. 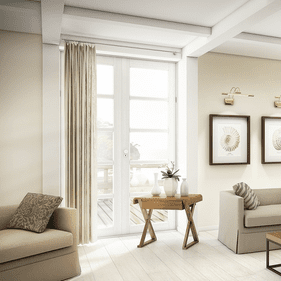 The d�cor, room color and design tastes are each factors to consider. 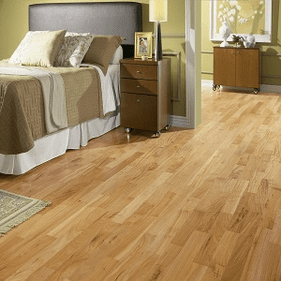 Our flooring experts are happy to suggest what choices best meet your needs. We take pride in helping designers, contractors and homeowners make informed choices. 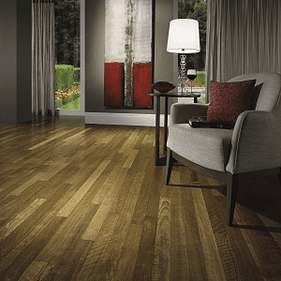 For a luxurious feel in any room; turn to Triangulo Brazilian Cherry. The warm brown tones have classic appeal while this South American species adds Amazonian charm to rooms of all sizes. 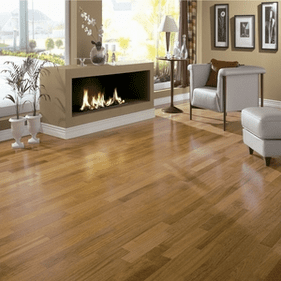 Consider installing this hardwood floor in living rooms with wood furniture of similarly patterned species, such as oak or maple. Master bedrooms and dens are also popular destinations for this stately color. Bright d�cor fabrics create a striking contrast, while brown shades make a more subtle statement. 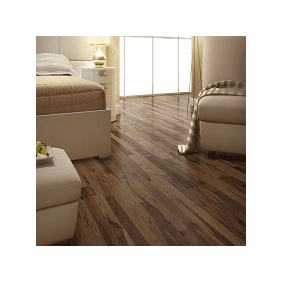 A 3/8� plank width adds spatial depth to enhance the designs of rooms big or small. 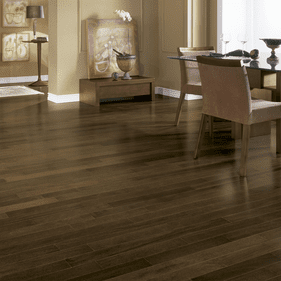 The 1/2� plank width of Triangulo Brazilian Cherry Royal Jatoba puts rich details and patterns on full display. You will see swirls and grain that mimic the actual characteristics of this species. A broader plank width makes large rooms feel cozier while small rooms will appear bigger. This versatility makes is a wise choice for open concept floor plans and cramped spaces alike. 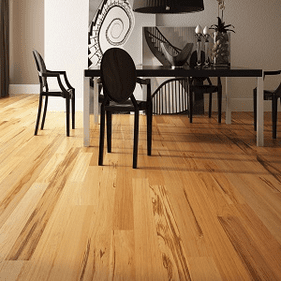 Looking for a wide plank hardwood floor in an exotic species? 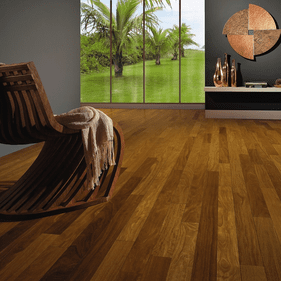 Triangulo Tigerwood boasts radiant tones with splashes of dark patterns that are ideal for sun bathed rooms. Kitchens with natural light exposure and wood cabinets are great landing spots for this model. The 3/4� width reveals the fine artistry that goes into manufacturing this collection. Triangulo St. Augustine is an awe-inspiring 9-1/4" wide plank collection of Mano Oak and Spanish Hickory engineered flooring. 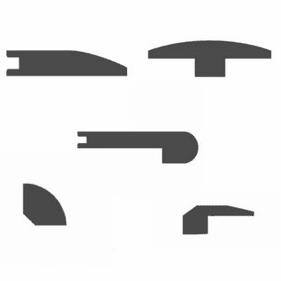 Contractors can choose from staple, glue or nail down installation based on the needs of each project. Meanwhile, a residential warranty helps protect your investment. 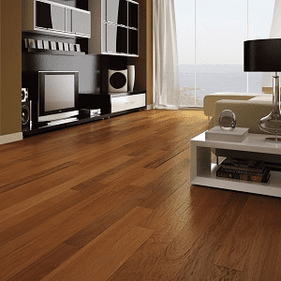 Please call us for Triangulo Hardwood Flooring quotes. We will estimate prices per square foot and arrange for shipping.